Is she the Samantha Bee of Cnservative America? "I am fearless and I'm just getting started," conservative commentator Tomi Lahren said after her news-making and internet-breaking segment of The Daily Show back in November of 2016. But who is Tomi Lahren? Lahren, who was the extremely outspoken host of Tomi until she was suspended for her comments on abortion, is a rising media star who doesn't believe in holding back or saying things that might upset people. In fact, she seems to thrive on controversy. "I'm very controversial and I don't back down from being controversial," Lahren said on her Facebook page. But it was Lahren's appearance on The Daily Show that got people to start to notice her as she and host Trevor Noah went back and forth on a number of hot-button topics. 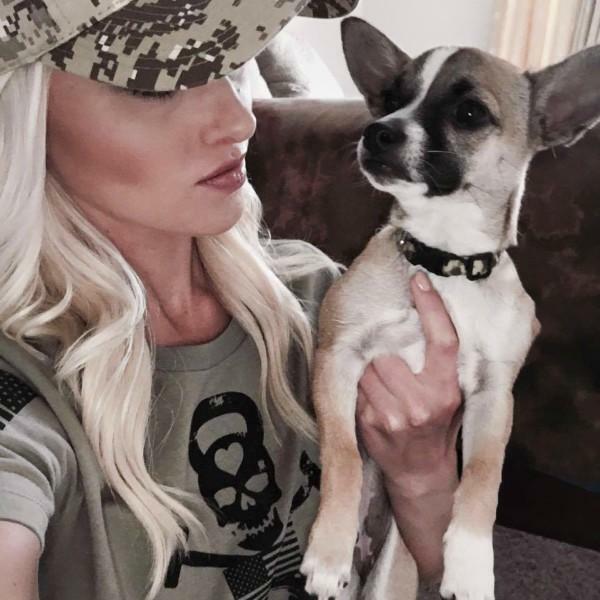 Now, everyone wants to know about Tomi Lahren and since it looks as if Lahren, the face of the conservative millennial, isn't going anywhere soon, what do we need to know about her? 1. Her name Tomi is pronounced as Tommy. 2. She was born on August 11, 1992, making her 25 years old and a Leo. That would explain why she's so fiery. 3. She grew up in Rapid City, South Dakota, in a military family. 4. She studied and graduated from the University of Nevada, Las Vegas. There she hosted and associate produced a political roundtable show called The Scramble for her university's television program. 5. She lived in San Diego, California, right after college. 6. She interned for Republican congresswoman Kristi Noem. 7. In 2014, she got her own show on the fledgling One America News Network called On Point. 8. She developed a Final Thoughts segment for her show and began pulling them and putting them on YouTube. 9. The first Final Thoughts video that went viral was in July 2015 when she criticized President Obama's reluctance to blame Muhammad Youssef Abdulazeez's shootings on a military recruiting center and navy reserve base in Chattanooga on "radical Islam," saying Radical Islam is becoming the rule, not the exception." She proudly describes herself as "the girl who eviscerated Obama" because of this. 10. 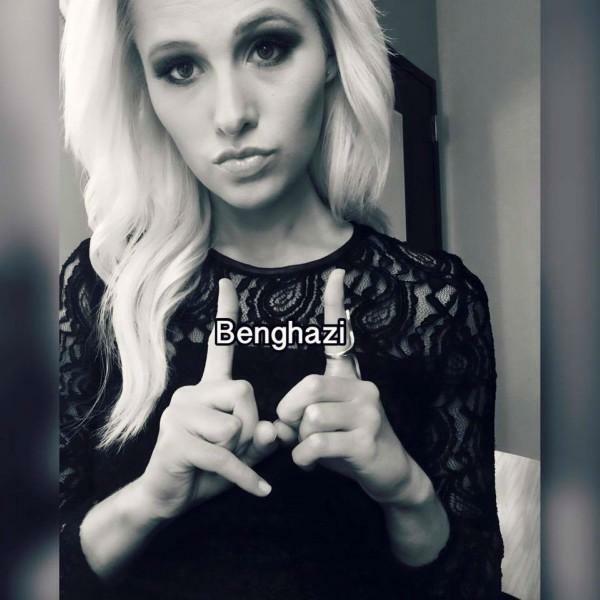 Lahren complained that President Obama wasn't doing enough with National Security and said, "He has a half-way, half-baked, tip-toe, be-friendly-to-Jihadist mentality. 11. 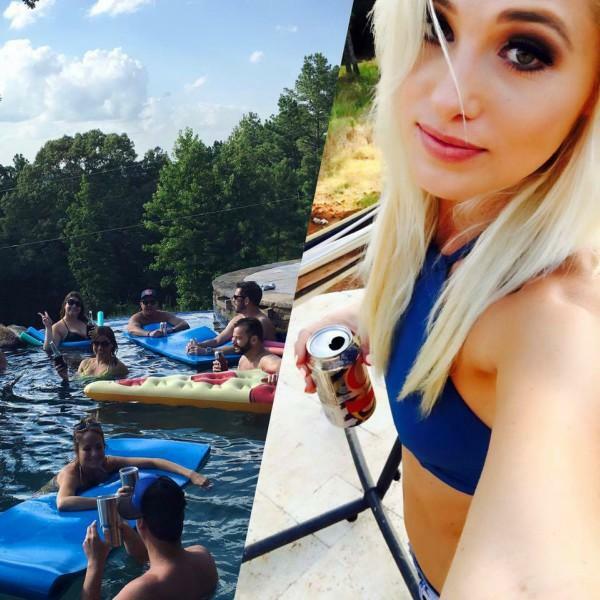 The Final Thoughts video brought Lahren to the attention of The Blaze and she moved to Dallas to do a new show, Tomi for The Blaze. 12. She's a vocal opponent of stricter gun control and is extremely pro-military. 13. According to the Daily Mail, Lahren has been dating Navy Seal Jerad Christian since 2015. 14. Inflamed by Beyoncé's Super Bowl performance, Lahren said, "Your husband [Jay-Z] was a drug dealer. For fourteen years, he sold crack cocaine. Talk about protecting black neighborhoods. Start at home." 15. Calling out Jay-Z wasn't all Lahren had to say. She also tweeted, "Even the Super Bowl show has become a way to politicize and advance the notion that black lives matter more." 16. She responded to Beyoncé's fans who took issue with her rant by saying, "Don't you dare come at me with your hate and your call to violence and your threats on my life and tell me racism is a one-way street." 17. She also has tweeted that the Black Lives Matter movement is pure poison. 18. When she tweeted, "Meet the new KKK, they call themselves 'Black Lives Matter' but make no mistake: their goals are far from equality," thousands of people signed a Change.org petition asking The Blaze to fire her. 19. Not surprisingly, Lahren had a huge problem with Jesse Williams' BET Awards acceptance speech in which he spoke of police brutality towards Black Americans and said, "I saw a lot of talent on that stage but at the same time a whole lot of victimhood." 21. Lahren objects when people refer to her as a feminist as she believes the feminist movement has been hijacked and has become passive-aggressively anti-men. 22. Lahren wasn't happy with Colin Kaepernick's decision to not stand for the National Anthem and called him a "whiny, indulgent, attention-seeking crybaby." 23. Regarding the millions of people protesting the election of Donald Trump, Lahren said, "A bunch of sore losers occupying a space is called a tantrum." 24. Naturally, Lahren is a supporter of the Dakota Access Pipeline, calling the protesters, "hypocritical crybabies" and the "conveniently ignorant." 25. Lahren doesn't believe in climate change. She said, "I talk to a lot of Democrats about that [climate change]. They're like, 'But it's freezing, and then it's hot!' And I'm like, 'Yeah, it's called weather. That's what happens.'" Lahren has found her niche as a conservative television personality who says whatever she wants without much fact-checking, and most likely to get a reaction from others. "I find that when people are actually around me, it's impossible not to like me," Lahren said in an article in the New York Times. "People expect me to be angry, bitter. They expect me to be abrasive, aggressive. I'm not."